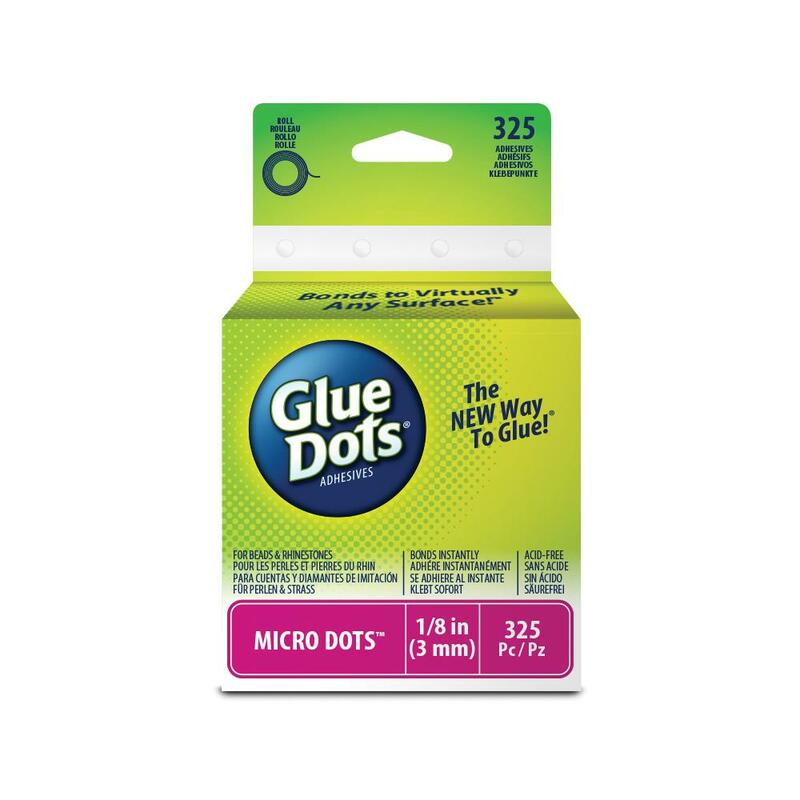 Glue Dots-Micro Glue Dots. These tiny, double-sided adhesives are perfect for permanently bonding items like rhinestones, beads, pictures, ribbon and sequins! Glue Dots bond to most surfaces including paper, plastic, metal, wood, foam, textiles and more. This package contains 325 1/8 inch round super-strength clear adhesives. Acid free, archival quality. Non-toxic. Conforms to ASTM D4236. Made in USA.